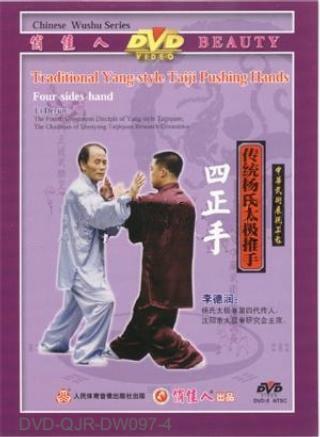 The content of this Four-Sides-Hand includes: The three steps and four kinds of using force on the basics of Double Push-Hand. The three steps are Step Forward, Step Backward and Step Forward and Backward. The four forces are Ward-off, Rub, Press Forward and Push. These are the four kinds of using force of the eight techniques. They are "Ward-off" force, "Rub" force, "Press Forward" force, and "Push" force. The two persons should move with the note to embody the identification and opposition of the five elements. The verse says: one "ward-off", two "press forward", three "change hands", four "rub", five "push" then turn body.